Low profile conveyors are great for automation projects. Move small, delicate, or hard to handle parts from station to station. 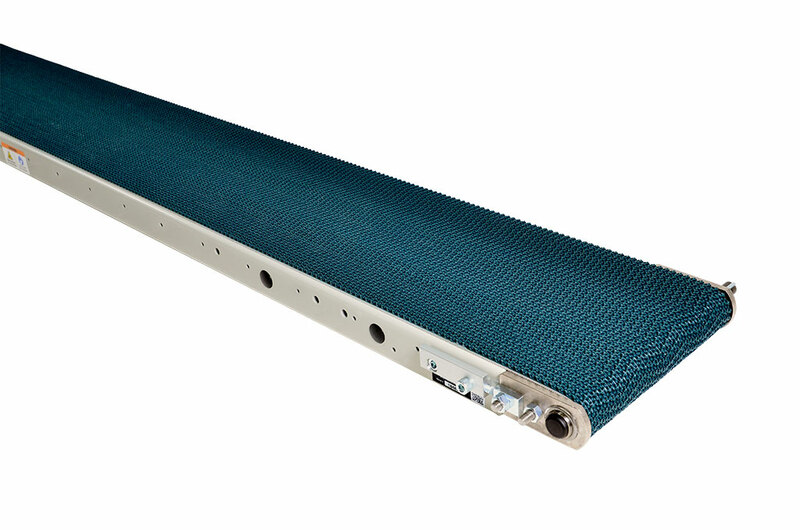 Low profile conveyors feature a razor-thin 1.89″ profile height. White urethane belt standard, optional belts are available. 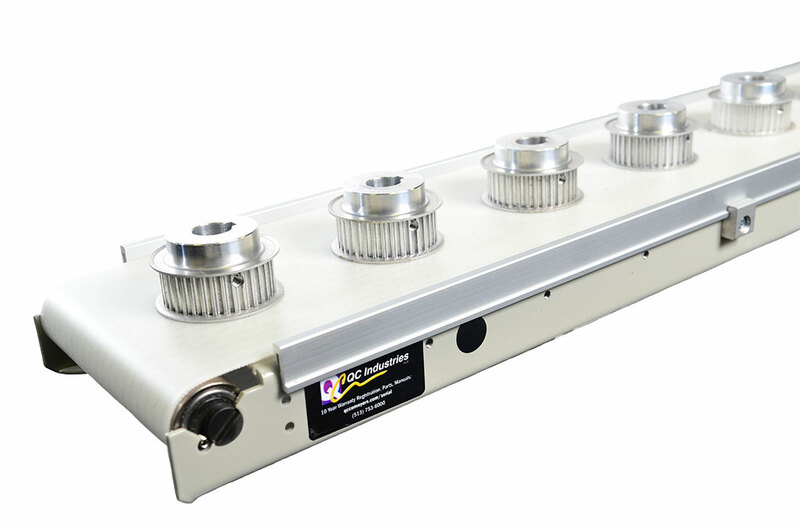 Crowned sealed drive assembly with a straight knurl design to prevent premature wear and to promote superior belt tracking, equipped with sealed bearings, requiring no lubrication. Crowned sealed tail assembly with straight knurl design to prevent premature belt wear with single point tension is achieved through a snap-in eccentric tail assembly to provide quick and easy belt change.